The three Labour activists expelled from the party over plans to collaborate with rival parties in a bid to unseat the health secretary from his Commons seat have launched a last-ditch appeal to Jeremy Corbyn to back the “progressive alliance”. 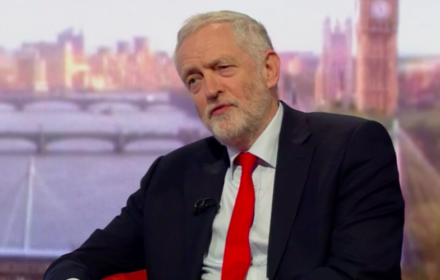 The group of former South West Surrey members today publish an open letter to Corbyn on LabourList calling on him to back deals in constituencies where the party has “no chance of winning” in the hope of gaining tactical votes and depriving the Tories of an overall majority or even putting Corbyn into Downing Street. They said such a move would represent an “honest and honourable” position as well as “striking a blow” for the NHS, which has been run by Hunt since he replaced Andrew Lansley in 2012. They also vowed to fight their expulsion from Labour with one, Steve Williams, saying he had been in the party for 46 years. The letter is the latest stage in a long-running battle which led to the expulsion of Williams, Kate Townsend and Robert Park after they backed Dr Louise Irvine, from the National Health Action Party, in an attempt to overturn Jeremy Hunt’s 28,000 majority in South West Surrey. “In South West Surrey, your action could support the highly effective challenge to Jeremy Hunt by Louise Irvine and strike a blow for the NHS, created, as you are well aware, in the post-war period, by one of the greatest figures of the left from Labour history, namely, Nye Bevan,” the letter reads. Williams, who describes himself as an “unashamed socialist”, said Labour will always be his “home”. He told LabourList he was very upset over his explusion on May 8. “I have been expelled from the Labour Party for trying to unseat one of the worst secretaries of state for health in our nation’s history – a man who has made countless health professionals and patients absolutely miserable,” he said. The plea by Williams and his allies appears likely to to unheeded as Corbyn has previously spoken out against the “progressive alliance”.